It has been sometime I last visit One Utama’s Food Court. The whole place were renovated and most of its major tenants also went thru the same process. 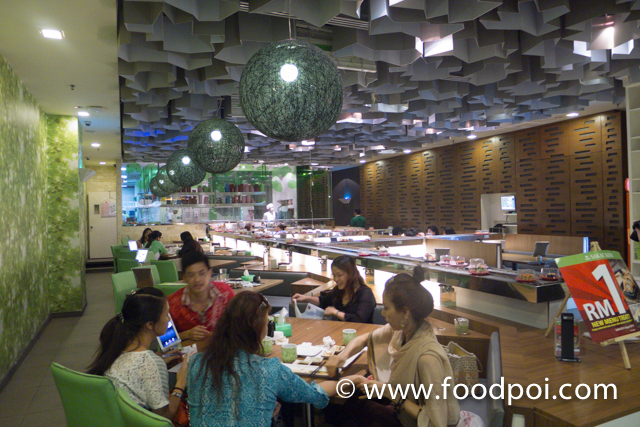 Last week I was invited to have a new menu review for Sakae Sushi which they are famous for their affordable and good sushi range. If you can’t find the restaurant, just put your attention to the big green frog. The restaurant also going thru the renovation exercise and fitted with the latest interior design concept which made the place more comfortable and classy. Though they spend so much money on it, the price of their foods remain. Don’t prejudice on them where new shop come with a new price. 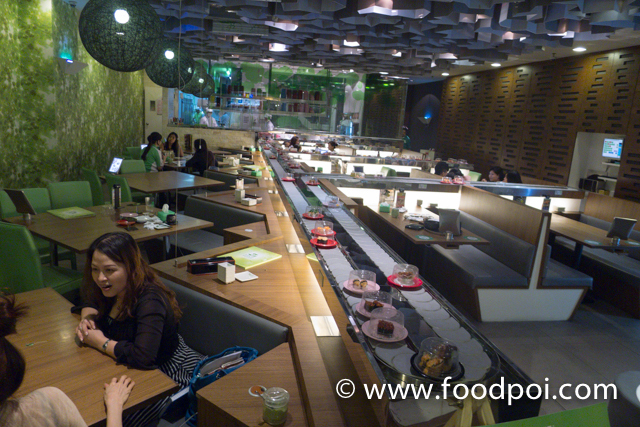 Sakae Sushi still maintain to its original founding motto that is to provide good and affordable Japanese foods to the public. Normally high class Japanese restaurant, there are no sushi belts. 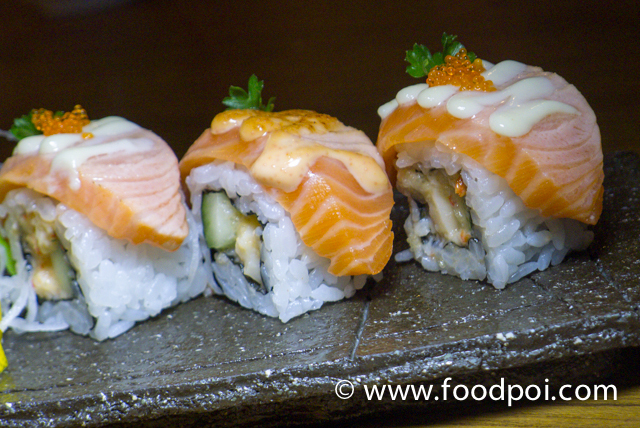 Sushi belts are there normally give the customer a relief that the price won’t be expensive. You may try to head on to some hotels Japanese restaurant where every single bite of the sushi you ordered are hand made and pressed before your eye. You are paying premium for that. Talking about the new renovation, new menu and items. To ensure a user-friendly dining experience, the menu is neatly segregated into 27 unique categories. 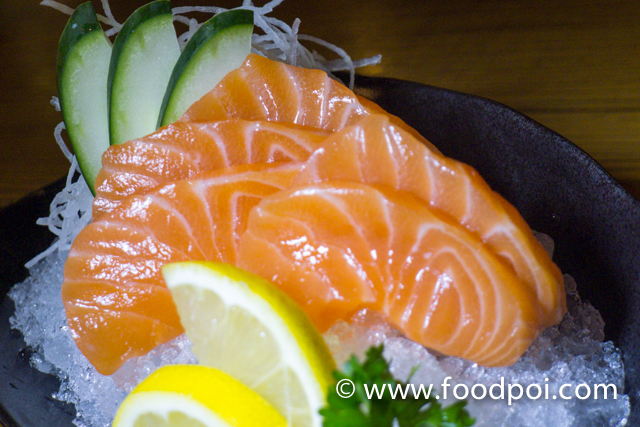 Depending on preference, diners can choose from signature Sakae’s Specials, sashimi, appetisers, sushi, tempura, yakimono, ramen, udon and many more. 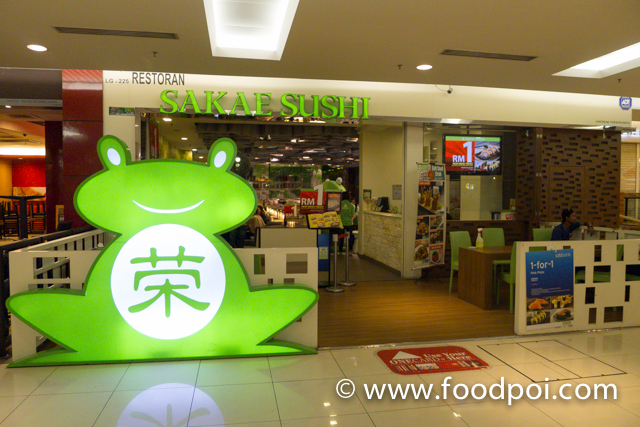 This year, Sakae fans are in for a delightful treat with the addition of two new categories – Pizza and Veggie Delight. 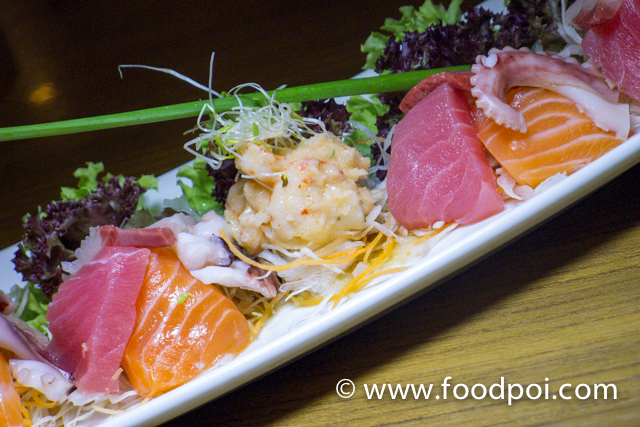 Sakae Pizzas comprise an exquisite mix of Japanese and Western fusion toppings such as scallops and tempura prawns, while the Veggie Delight section caters to vegetarian diners with specially-prepared dishes like Hiyashi Chuka Ramen and Kimchee & Mango Maki. For a delectable meal starter, diners can enjoy the Sashimi Salad – a unique creation from Sakae’s master chefs prepared using assorted sashimi, fresh vegetables and specialty wafu sauce. 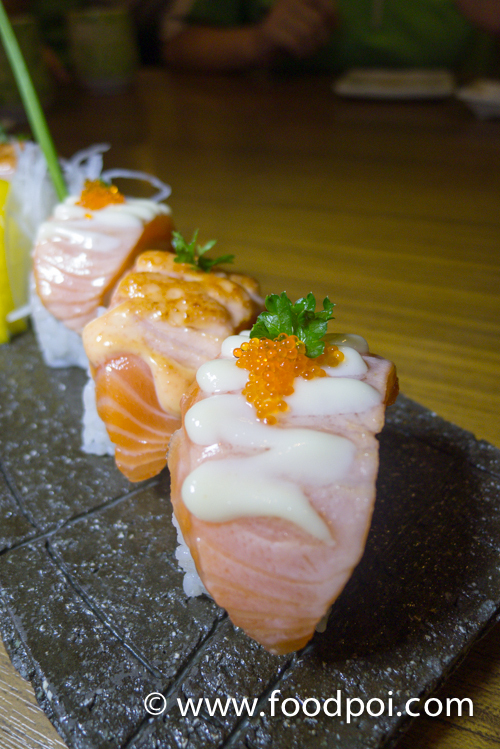 Another new recommendation is the Lobster and Salmon Roll, a mouth-watering combination of salmon, lobster salad and flying fish roe all in one sumptuous roll. 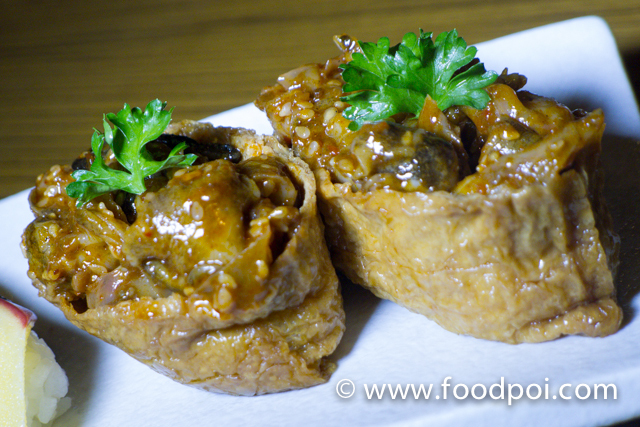 Seasoned spicy sea snail in inari or sweet beancurd skins. Surf clam with capelin roe. This is a must try. 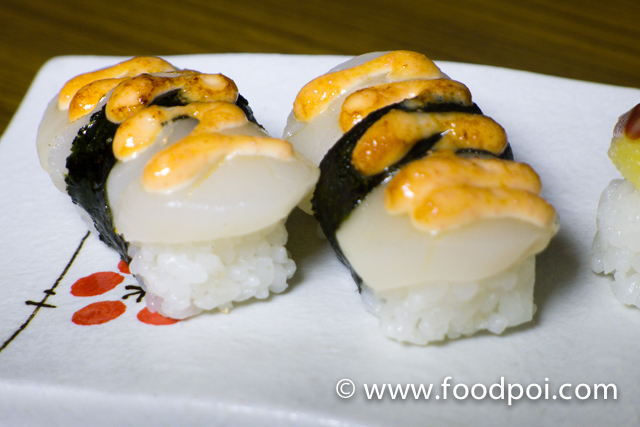 The reason is that the clam texture were so similar to biting ebiko. 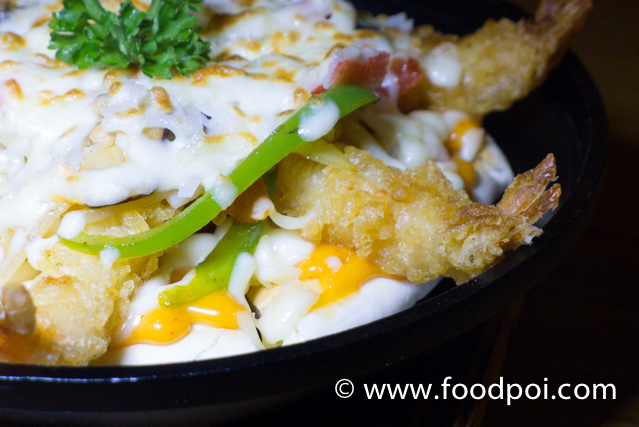 The popping sensation upon your teeth sunk in are the key point in enjoying this dish. 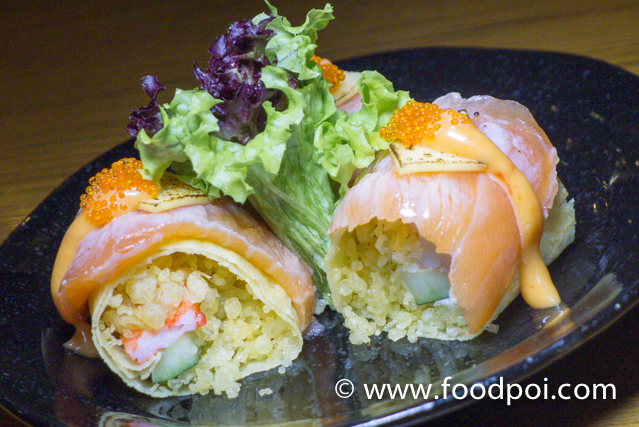 Salmon Sushi wrap with snow crabstick, flying fish roe, egg crepe, cheese, spicy mayo and Japanese cucumber. This pretty much taste like a real popiah to me. 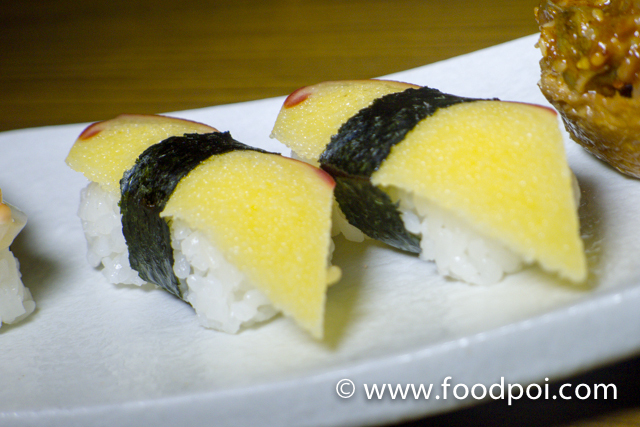 The crispy fillings were made by using tempura flour and if you taste it with eye closed, you’ll confirm it is popiah. The fusion of Japan and Korean dish into one. The kimchi are pretty mild and not as spicy as I think. 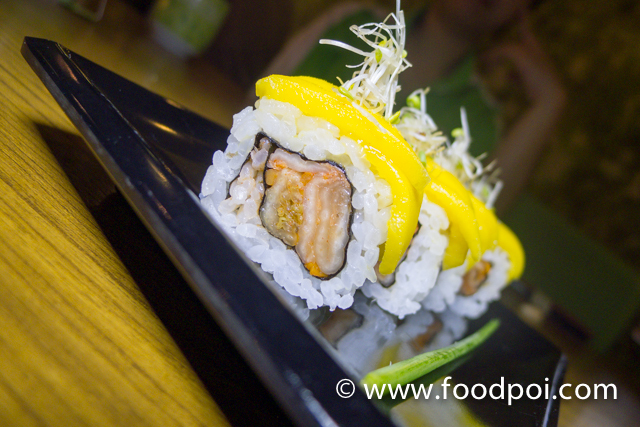 The sweet mango then balance the whole sushi to a complete harmony taste where every bite you can have different taste. Spicy, tangy, sweet and fragrant. All the meat were fillet, lightly battered and deep fried. 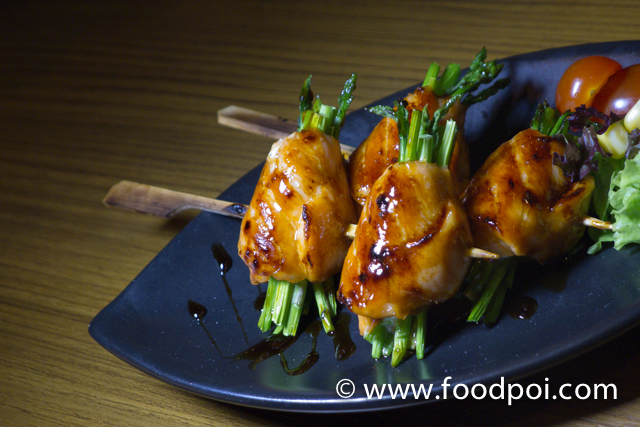 Then it is tossed with teriyaki sauce upon served. Best to be eaten white it is still hot. Who say vegetarian food is boring? 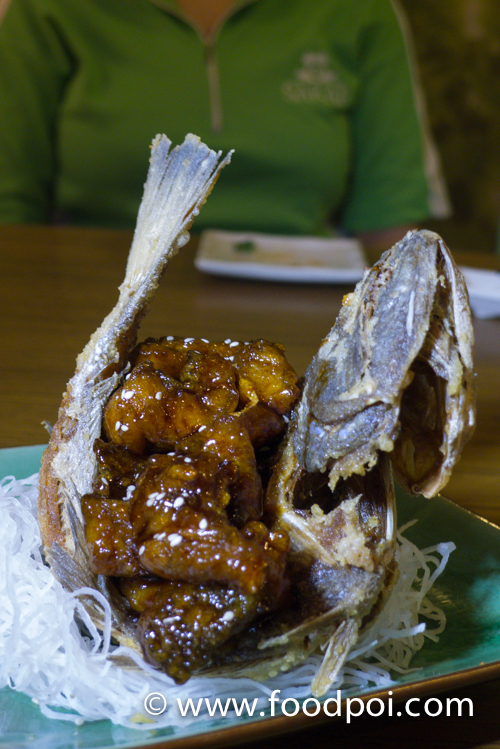 After you try this you let me know ….. the corn were cut out from the cob and then light battered and deep fried. 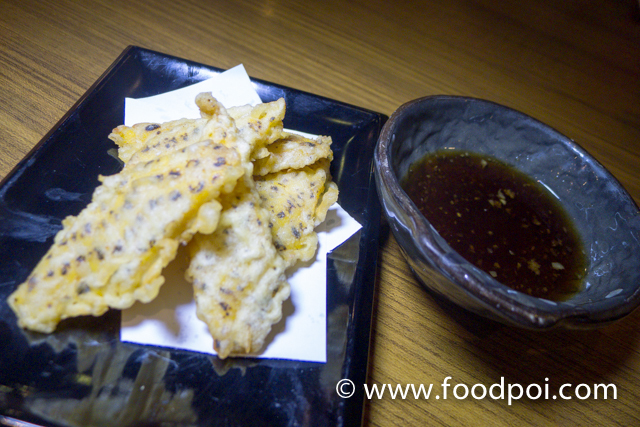 Then serve with tempura dip. Lips smacking baby ….. The pizza are not from the normal big sized type. It is much smaller and topped with mini tempura prawn, crabstick, shitake mushroom, green pepper, onion, mozzarella cheese and spicy mayo. 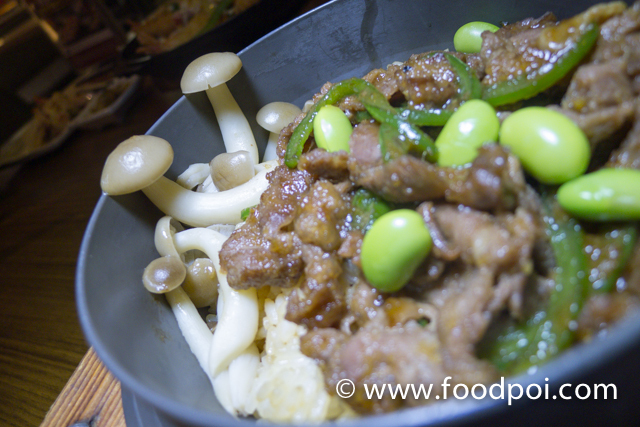 Sauteed sliced beef with assorted mushroom topped on rice …. an alternate to have a healthier choice rather than the old katsudon which is more oily. 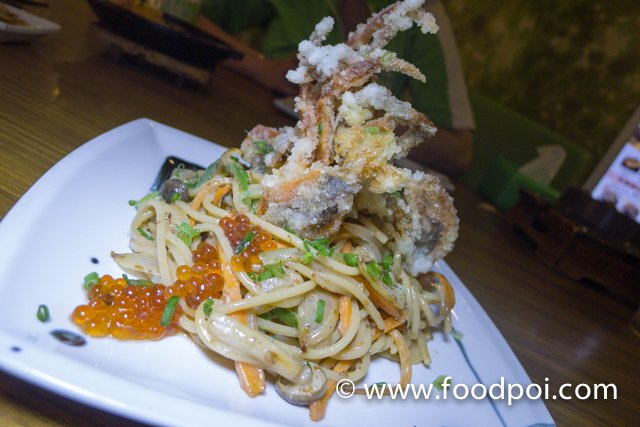 Stir fried pasta with soft shell crab, mushrooms, mixed veges and sesame sauce. Ebiko then were added to garnish at the same time spice up the whole plate upon serve. I was guessing how much this plate would cost. My first guess RM35! but when we see the bill, OMG it is so cheap. At RM16.80 you get whole soft shell crab and ebiko. Where else can find? My all time Japanese restaurant favorite. 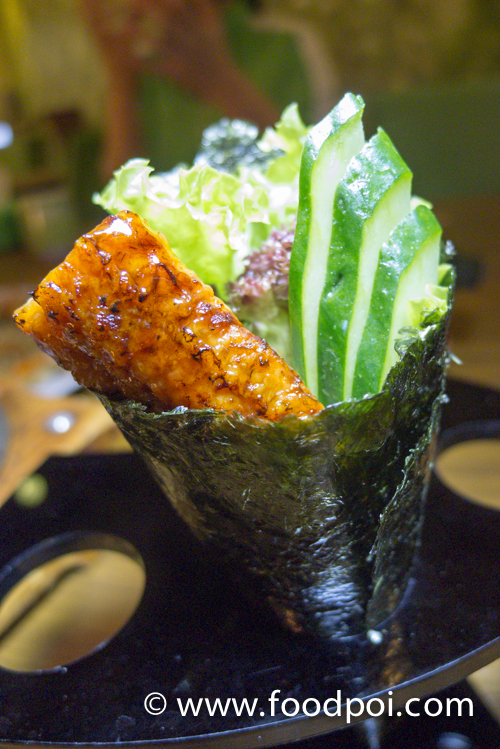 I love only unagi handrolls. Don’t ask me why and so far this dish never fail me. 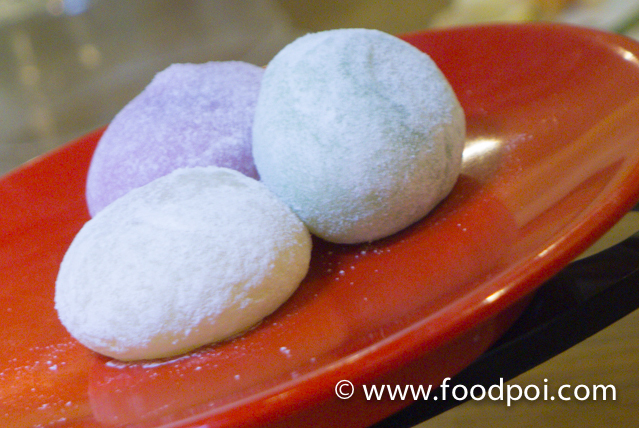 Fluffy and not too sweet glutinous rice dessert. 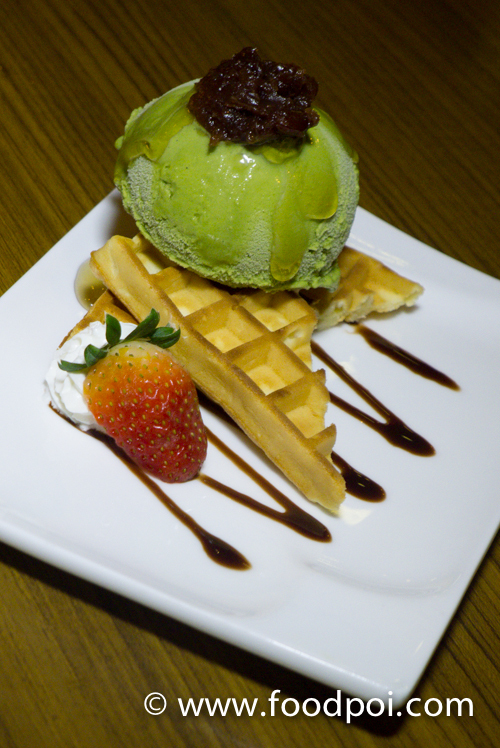 A Japanese dinner won’t be complete if you don’t end it up with either green tea or black sesame ice cream. 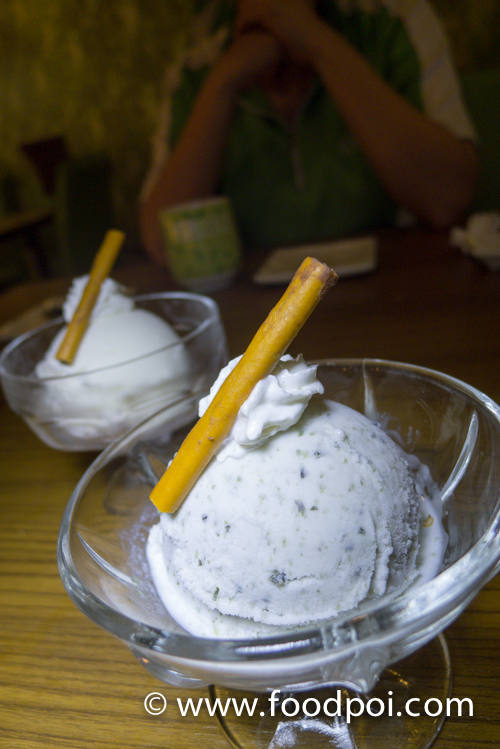 The green tea ice cream are so fragrant from the green tea powder that they use. This is a vital ingredient in producing a good matcha ice cream. If you put too much cream, it will taste all milky only without the tea taste. This would be girls favorite list. The more you eat the prettier you are. 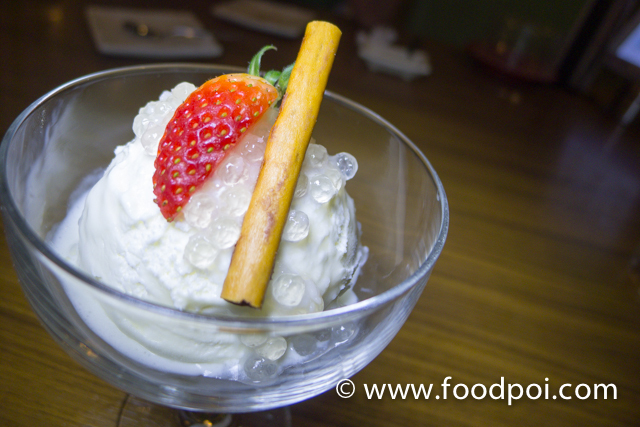 The collagen however slightly salty taste and taste quite good with the vanilla ice cream. 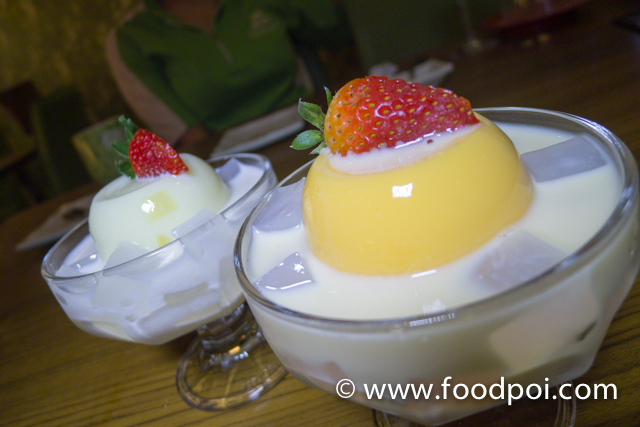 The puddings are bouncy bouncy which makes you wanna eat them so much. The smooth texture and chilled juice that soak the pudding are an idea cooling agent for your body if you feel very heaty. Made from 100% top grade pure yoghurt fresh daily! Ah Bok love it so much and said the yoghurt is soooooo good! 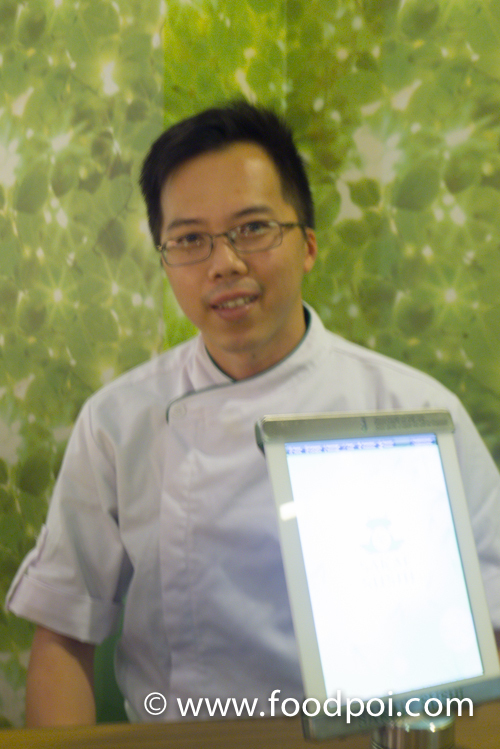 Sakae Sushi Malaysia Exec Chef CK Ooi who’s the one doing the R&D from customer’s feedback, marketing’s and sales out. He have his point there where he churn out something that ideal to the current market trend and not just plain old sushi and that’s it. Even the tea served here are different. They used roasted genmaicha tea which has more aroma than the normal green tea. Roasted tea do not have that green smell that typical green tea would have. Another thing which Sakae sushi is famous for is that they have an Apple IPAD on each table that act as a menu and also order taker. The menu are well illustrated and easy to use even for kids. Although the extensive menu are long ….. fraid not it is easy to maneuver around. Customers will also be rewarded with a special RM1 New Menu Treat promotion accompanying the launch. With a minimum spend of RM30 in a single receipt, diners get to enjoy a daily featured New Menu Dish for only RM1. Furthermore, Citibank cardholders receive an additional benefit of 1-for-1 pink plate worth RM3.99 each. 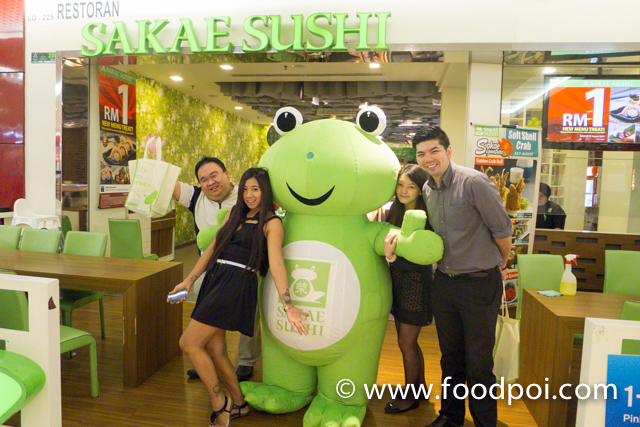 Online fans can also look forward to great freebies and contests on Sakae Sushi’s Facebook fan page.